The following is a few links to various websites that give an idea about the range of attractions that Derry has to offer a tourist visiting this historic city. 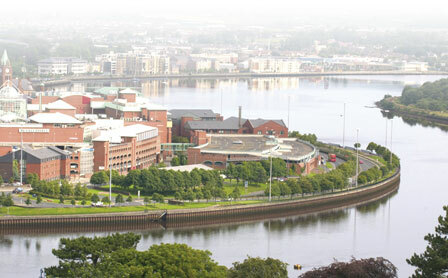 One of the best sites to discover whats going on in Derry is www.derryvisitor.com - this is probably the most useful site for any one visiting Derry - it has information on everthing from Coming Attractions to Tours that are available to a guide to you shopping needs to places to Eat and Drink. 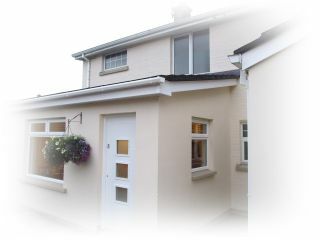 Why not request a brochure here. Another excellent site is www.discovernorthernireland.com - this is a more general site for the whole of NI but has some excellent information on Derry City and its surroundings. Brouchures are availabe here. Now to mention a few interesting places close to Amore B&B. Just a few minutes walk from us is the Bogside Gallery of Murals - these murals painted on gable walls were a vocal political expression during the recent period of history in Northern Ireland known as The Troubles - The People’s Gallery refers to twelve murals painted by three local artists, which interpret events during The Troubles in Derry. Also close by is the Derry Tower Museum - Located within the city's historic walls it has 2 permanent exhibitions - The Story of Derry and An Armada Shipwreck - From the top of the Tower is an open air viewing vacility giving spectacular views on the inner city and river Foyle. There is also the Museum of Free Derry - this museum focuses on the civil rights campaign which emerged in the 1960s and the Free Derry/early Troubles period of the early 1970s. It tells the people’s story of the civil rights movement, the Battle of the Bogside, Internment, Free Derry and Bloody Sunday. Shops - A small list can be found here. And of course one or two pubs wherenot only can you enjoy a socialable drink but also indulge in some fine cuisine and maybe stay on for the nightlife and some craic. A list of pubs and eateries can be found here - happy eating. This is by no means a full list of things to do and see in Derry so if you have any further questions ask away on our contact details below.